3 Bedroom End of Terrace House For Sale in Sheffield for Guide Price £50,000. 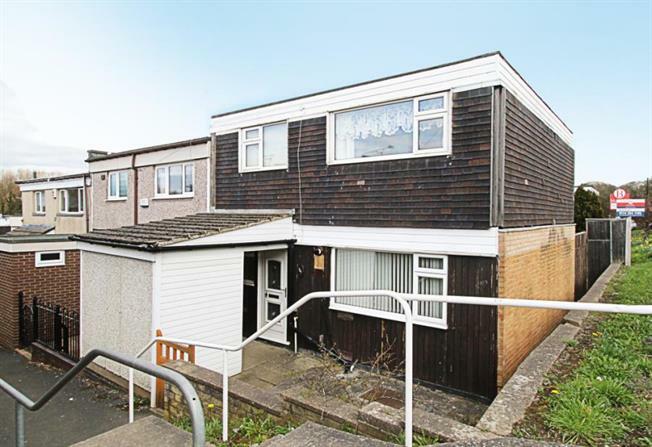 This property's price has dropped from £60,000 to Guide Price £50,000. A three bedroomed end townhouse in a popular area having the benefit of gas central heating, double glazing and is vacant. The house now requires some modernisation and refurbishment but offers interest to a number of buyers. Blundells projected rental income once refurbished is IRO 500pcm / 6000pa. The property is of a timber frame construction and has front and rear gardens. Location - Located in the popular community of Woodhouse, towards the southeastern part of the city. The area offers excellent local shopping, amenities, schools and bus and road links being close to the A57 and also within easy reach of Woodhouse Railway Station. Ground Floor - Entrance hall, breakfasting kitchen, spacious lounge/dining room with doors to the garden. Ground floor W.C. and store cupboard. First Floor - Three well proportioned bedrooms, two with fitted wardrobe, bathroom/W.C. with suite in white. Outside - Front garden with bin store area and walk in store. Enclosed rear garden with patio and lawned area, rear access and shed. On street parking surrounding no.229.